Why Should You Wear a Costume at Mickey's Not So Scary Halloween Party? 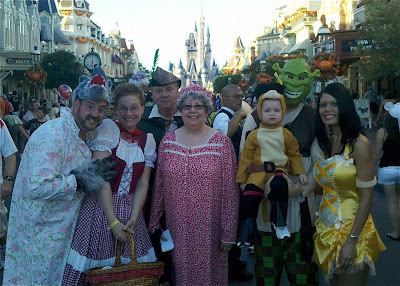 Why should you wear a costume at Mickey’s Not So Scary Halloween Party? Okay, maybe I should write a more in depth article. Well, for starters, show of hands, who here likes candy? 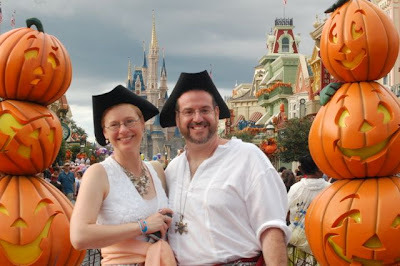 At Mickey’s Not So Scary Halloween Party, adults get to Trick or Treat, and not get the odd looks you’d doubtless get if you tried to do so in your neighborhood. 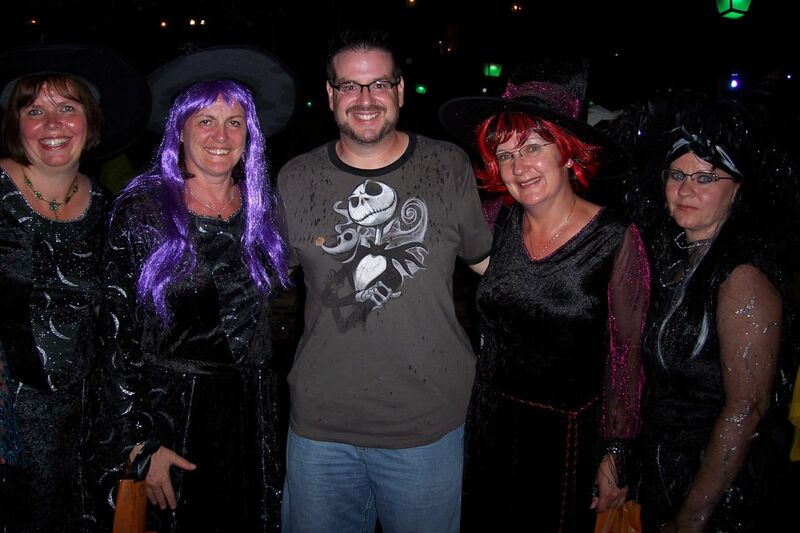 Upon entering the party, you’ll be given a treat bag, and throughout the park, you’ll find candy stations. Now, you COULD go and Trick or Treat without dressing up, but where is the fun in that? The next 3 parties we went to, we did get dressed up. 2008: As you can see, I’m Fred Flintstone. 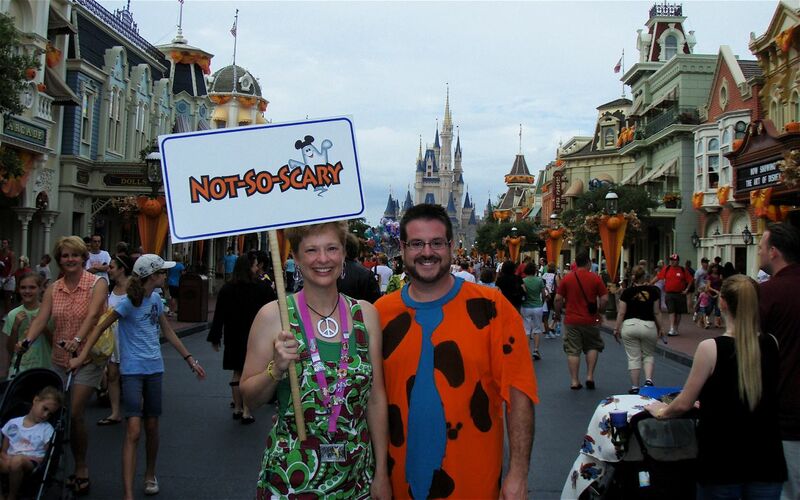 Why isn’t my wife dressed as Wilma? She had found the jumpsuit at a yard sale, and decided she just HAD to be a Hippie! 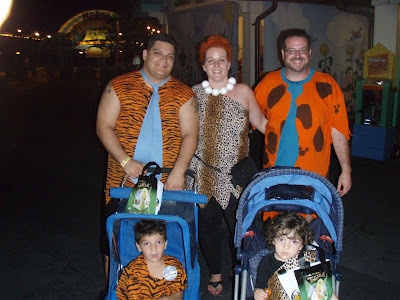 Luckily, I found another Fred and Wilma, Pebbles and BamBam too! In 2012, my wife an I were Pirates. 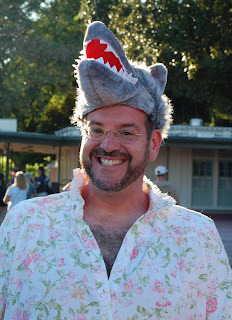 So there you go, dressing up for MNSSHP is fun, and do you need a better reason than that? 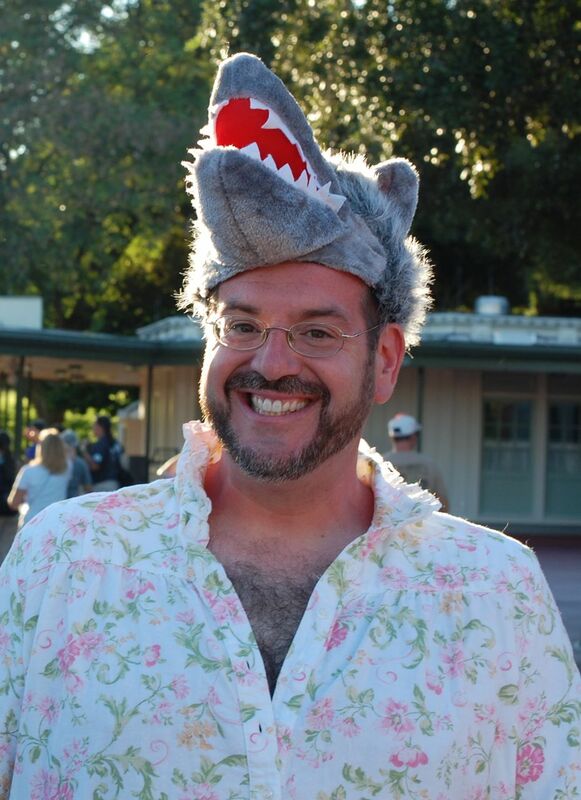 Portions of this article were originally posted on the Tips From the Disney Divas and Devos Blog, where Nick is a contributing writer, as well as on the Disney Musings Blog, which Nick co-writes with his wife, Barbie. ← Giveaway $50 Disney Gift Card!